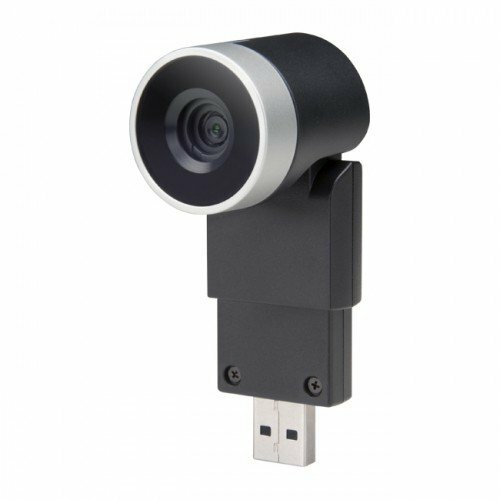 The EagleEye Mini USB camera can easily be added to Polycom Trio conference phones, VVX 501 and 601 desktop phones and the Polycom VoxBox USB portable speakerphone. This feature-rich camera has been engineered for business-class performance in personal and small room environments. Some of the many highlights include high definition 1080p video, electronic pan, tilt and 4x zoom for an image that remains at the highest capable resolution even when it is fully zoomed. Additionally, EagleEye Mini brings forth true colour hue saturation, backlight compensation, and autofocus optimised for smaller environments so you can be sure you will experience accurate, sharp, life-like images. EagleEye Mini supports simulcast streams so far-end participants will enjoy the highest resolution their endpoint can accommodate. When not in use, the integrated privacy shutter prevents unintentional use of the camera for added security. EagleEye Mini is a certified USB camera for Skype for Business video calls ensuring the highest quality meeting experience for teams and remote participants. 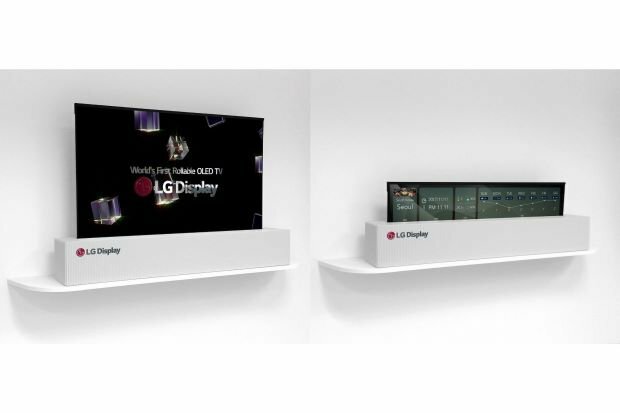 LG Electronics is defining the next generation of screens with the introduction of the world’s first rollable OLED TV. The LG SIGNATURE OLED TV R redefines the definition of TV with a variable form factor only made possible by the company’s industry-leading OLED technology. More than a demonstration of engineering prowess, LG’s breath-taking product boasts picture and sound quality that is second to none, all in a form factor that gives infinite possibilities in designing their perfect viewing space. Since the start of the modern era, screen sizes have steadily increased in size as resolution improved and consumers demanded a more immersive viewing experience. The trade-off came in the form of a large, black rectangle that dominated the room when the screen was not in use. Even more advanced projection screens have never been able to deliver the contrast or the deep blacks that consumers demanded. LG has created a screen with a display that seems to magically appear and disappear, a revolutionary innovation that seems to defy logic. A rollable OLED screen is a true game-changer, liberating users from the limitations of the wall and freeing them to curate their own working space. The fact that LG SIGNATURE OLED TV R can transform itself to offer three different viewing options – Full View, Line View and Zero View – allows customers to use the screen in ways that were impossible before the development of OLED technology. Full View delivers a large-screen viewing experience revealing the full extent of the contrast, depth and realism that has become synonymous with all LG screens. The remarkable AI picture and sound quality powered by LG’s second generation α (Alpha) 9 intelligent processor and deep learning algorithm puts this breath taking screen in a class of its own. Line View allows the LG SIGNATURE OLED TV R to be partially unrolled, allowing for management of specific tasks that do not require the full TV screen. In Line View, users can choose from features such as Clock, Frame, Mood and Dashboard. Invoke Clock mode to check the time and weather at a glance or Mood mode to create a backdrop for meetings. Extron NAV marks Extron's entrance into the emerging Audio Visual over IP (AV over IP) market. Unlike traditional signal distribution, which relies on video specific cabling such as HDMI or Digital Twisted Pair, the NAV encodes audio, video and control signals into Internet Protocol (IP) traffic, allowing existing data cabling and infrastructure to be used. 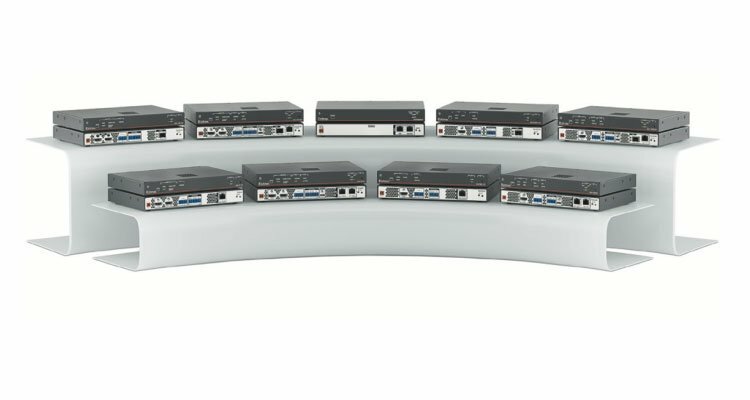 Previously the delay in encoding and decoding has meant that this technology has only been suited for TV distribution, but with the advent of near instantaneous encoding and decoding, AV over IP looks to be replacing well known switching hardware with standard network switches, providing large, easily expandable systems that run on cheap, readily available category cable.